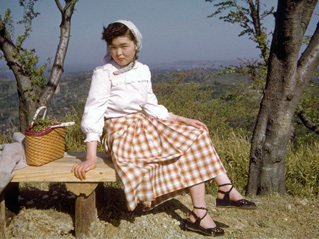 Hiroko Furukawa met Samuel at the PX in the Ginza, where she worked as a salesgirl. She knew his family had a chicken farm, and although she loved theater and city life, she thought rural America would be more welcoming to a Japanese wife. Her in-laws were kind but completely baffled by her. They called her Susie. The youngest of six sisters, Emiko Fukumoto lived in a small fishing village named Sajima. When the U.S. military moved into nearby Yokosuka Naval Base, the smiling, easy-going Americans, who had enough money to take a young woman dancing, fascinated her. She had dropped out of school in order to work, but never lacked admirers, who were smitten with her flirtatious smile and personality. 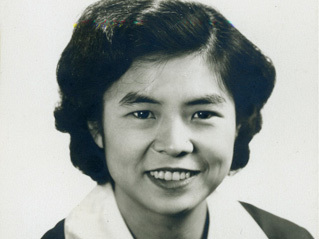 Emiko dated many Americans, but her mother decided Steve was the most reliable. After Emiko and Steve moved to the United States, the Sajima clan kept in touch via thin blue airmail letters and brown boxes filled with Japanese goodies.